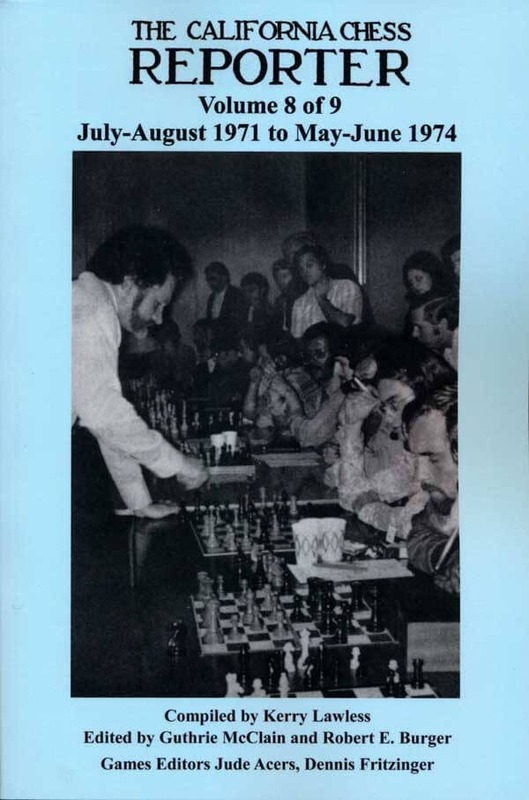 In 1971-1974, there was a great increase in chess activity world wide because of the 1972 Fischer Spassky Match in Iceland. In California, there was the emergence of talented new players and the departures of some old ones. Louis D. Statham (1907–1983) established his famous series of tournaments in Lone Pine, California. Every year it got stronger as grandmasters throughout the world came in increasing numbers and the cash prizes got bigger. It eventually became annually the strongest Swiss System tournament in the world. First winner was Larry Evans who moved to nearby Reno, Nevada. Paul Masson, a wine maker, established a series of open-air outdoor class tournaments with big cash prizes. These tournaments broke attendance records with over 600 players. In the mean time, The California Chess Reporter improved because it started publishing pictures again. For a decade after the 1959 California Open no pictures has appeared. The November-December 1971 issue of the California Chess Reporter carried pictures of a sensational new star, a six-year-old girl in Germany named Jutta Hempel who played master-strength chess. She had been playing actively since she was three ears old. Although the girl lived in Germany, this issue of California Chess Reporter was filled with pictures of this girl giving simultaneous exhibitions against adults, similar to the way that Sammy Reshevsky gave exhibitions at age 8. Originally, this was intended to be published as an 8-volume set. This was in part because some of the issues were missing. However, all of the missing issues have been found, so now it has been expanded to a full nine volumes with no gaps.